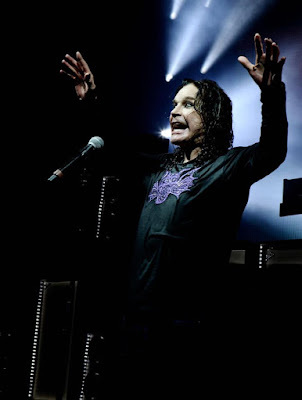 Ozzy Osbourne has postponed this week’s launch of his UK farewell tour due to illness. The series was set to begin in Dublin, Ireland on January 30. “It is with great regret we have to announce that the first four UK shows on the Ozzy Osbourne/Judas Priest tour have been postponed due to Ozzy having a very bad case of flu,” posted openers Judas Priest ahead of an announcement by Ozzy’s team. “Therefore Dublin (Jan 30), Nottingham (Feb 1), Manchester (Feb 3) and Newcastle (Feb 5) will be rescheduled at a later date - details to follow once finalized." The UK leg of Ozzy’s No More Tours 2 series will now begin at The SSE Hydro in Glasgow, Scotland on February 7; a list of tour dates can be found below. News of the tour postponement comes just days after Ozzy revealed another health issue. "Coughed so hard I burst a blood vessel in my eye," shared the rocker on social media.